The CV61 Vehicle Mount Computer has an IEEE 802.11a/b/g/n radio installed and is Wi-Fi® certified for interoperability with other 802.11a/b/g/n wireless LAN devices. 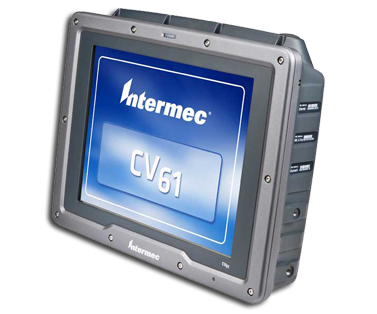 The rugged CV61 Vehicle Mount Computer is designed for real-time data collection applications in warehousing, distribution, work-in-process, time and attendance, and stationary applications. The CV61 is highly configurable and runs on the Microsoft Windows 7 or Microsoft Windows XP Professional operating system. Additionally, the CV61 supports the use of terminal emulation applications, browser-based applications, or custom applications.